After a leisurely breakfast at our accommodations, we will head off to see some very unique and interesting local villages in the Basilicata region - one is even a ghost town! 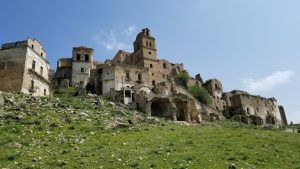 For nearly fifty years, the town of Craco has stood uninhabited. In 1963, the last 1,800 residents were forced to leave this village for their own safety due to the risk of earthquakes and landslides. Today, thanks to the dramatic landscape and unique atmosphere, Craco has been the set of many movies including 'Saving Grace' , James Bond 'Quantum of Solace' and the hanging of Judas scene in Mel Gibson’s the 'Passion of the Christ'. Today after our breakfast, you'll learn all about fresh cow milk cheeses and how to make fresh mozzarella with the local "Casaro" (cheesemaker). This resident cheesemakercomes from a long line of Southern Italy mozzarella makers and there's not many people in the world who know more about this than him. In this demonstration we will guide you through the process of making this wonderful cheese and then, of course, you'll get to taste it! In addition to the fresh mozzarella that we will make, we will have the opportunity to taste some of the other local cheeses of this region. Italian cheese is world famous but some of the most well known Italian cheeses can be found in Southern Italy. After breakfast, we'll depart for the Dolomites of the South, where you can find the beautiful mountain towns of Castelmezzano and Pietrapertosa. Set amongst majestic mountains and lush scenery, these towns will show you yet another side to the wonder that is Basilicata. Both villages belong to the “I Borghi più belli d'Italia” (The most beautiful villages of Italy), an association of small Italian towns of historical interest​. 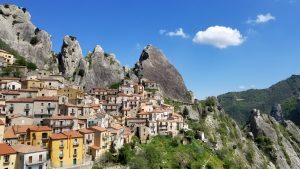 Here you will also find the “Volo dell’Angelo (flight of the angel) – A zip line adventure that takes you on a journey between the peaks of Castelmezzano to the village of Pietrapertosa. It is one of Basilicata’s most exhilarating tourist attractions that is not for the faint of heart. After breakfast at our agriturismo, we'll head out to see some sites in the region of Puglia. We'll first stop in Poginano a Mare, a cozy and charming little town on the Adriatic coast with beautiful narrow streets, romantic balconies, and breathtaking views of the sea. For lunch, we'll be savoring some local seafood delights (options available for non-seafood eaters). 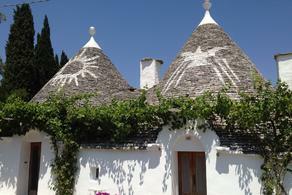 In the afternoon, we will travel on to explore another iconic town of Puglia: Alberobello. This fairytale town is a UNESCO World Heritage site and famous for its unique "Trulli" - the conical shaped homes. Early morning breakfast at our agriturismo as we say our goodbyes. 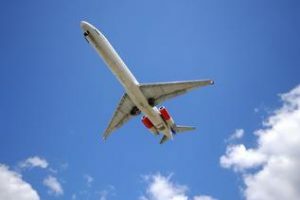 We'll board our vans and depart for the Bari Airport.